WellnessNetwork: How Do You Spend Your 5am's? How Do You Spend Your 5am's? Recently I have been working alongside a Motivational Coach and Dietitian on improving the lives of North Carolinians, starting in the capital city of Raleigh. During my initial few days of working as the Personal Trainer for what has been labeled as the “Fit Family Challenge,” I have been reminded of a great message I heard from Halifax, NS or Canadian author Robin Sharma from his book entitled: The Greatness Guide. He was very interested in the notion of waking up at 5am every day and practicing “deep” personal reflection time before he started each day. Very often I hear people saying that there is never enough time in the day but putting our energy into the time given while focusing on working more efficiently will make way for us to live our lives more effectively. I agree with Sharma on waking up extra early to spend the first part of the day in deep conversion within yourself regarding what you are doing, where you have been and where you intend to go in all areas of life. Simply described, energy without direction becomes simple displacement. It is comparable to personal mission drift. We need to refine our energy through deep thinking to become more established in setting and reaching our goals and to positively affect the world around us (which is just as important). This could take some time but hopefully you are beginning to see how you should be spending your 5’s. Spending your 5’s doesn’t necessarily mean that everyone needs to wake up at 5am to reflect; that would be somewhat superfluous. 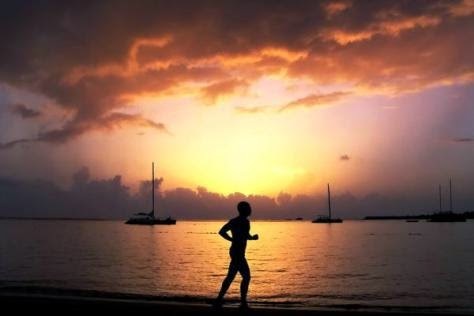 However, if you are a 5:30 person who can get deep thinking done during your early morning run…run! If you are the person who needs to read first thing in the morning or socialize with a buddy at the gym at 5am, do it. Go socialize and go invest in those emotional opportunities for growth. The main point here should be to win the battle of the bed and wake up early to invest in yourself before the day unfolds. The point of this blog is not to tell you that if you wake up at 6, 7, or even 8 am that you will not be emotionally wealthy or professionally focused. The purpose of this blog is to remind you that some of the best opportunities for growth come during our thinking time away from our work and maybe even away from each other. Some of the greatest leaders of our generation spend most of their time in solitude. Reflection becomes knowledge and strength. Now, you’re probably questioning how you spend you 5’s or how you spend your morning time in general. I challenge you to wake up 30 minutes earlier, find something that gives you opportunities to reflect and dabble in those activities for a few weeks. The commitments of life and stress can wait for the sunrise. Get up early and work on your emotional wellness before life throws chaos at you. I guarantee you will think and feel better. One of the “Fit Family Challenge” contestants is doing just that. She is starting to ‘rethink’ how she spends her 5’s to move forward with her fitness, nutrition and overall motivation. Tweet me @wellnessrf and tell me how you spend your 5's.